UPDATE, 4:10 p.m. ET: President Barack Obama and wife Michelle Obama did not cancel a first couples&apos; photo op with President-elect Donald Trump and soon-to-be First Lady Melania Trump, White House Press Secretary Josh Earnest confirms. Earnest denied a report published by the Wall Street Journal during a press conference held hours after Barack and Donald had a Thursday, November 7, meeting at the White House in Washington, D.C. Earnest told reporters that the first couples&apos; photo was “lower in priority” than the photo op of Barack and Donald inside the Oval Office. Thanks, but no thanks. 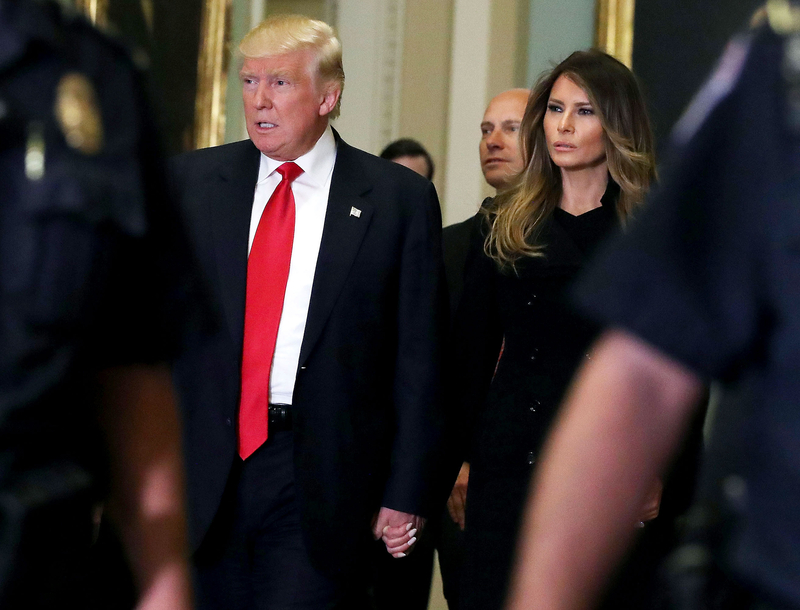 President Barack Obama and wife Michelle Obama canceled a first couples&apos; photo op with President-elect Donald Trump and soon-to-be First Lady Melania Trump during a November 10 visit to the White House, according to the Wall Street Journal. Per the publication, "the Obamas canceled a photo op of the current and future first couples outside the south entrance of the White House." While the WSJ did not offer any further details about Barack and Michelle&apos;s decision to forgo posing with Donald and Melania, their abandonment of tradition only seems to emphasize how contentious this year&apos;s presidential election was. 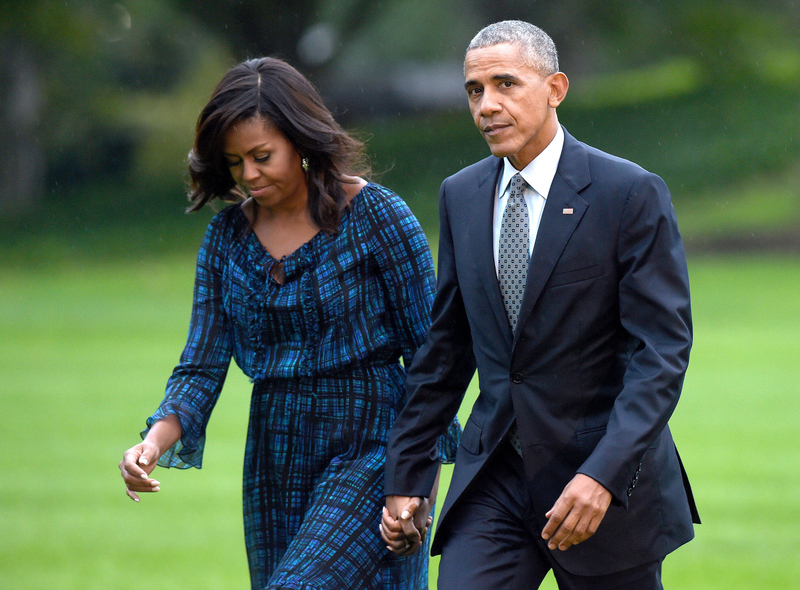 The Obamas were vocal proponents of Trump&apos;s Democratic rival, Hillary Clinton, and heavily supported the former secretary of state in her bid for the Oval Office. At July&apos;s Democratic National Convention, the president, 55 — who most recently stood alongside the POTUS hopeful during a rally on Monday, November 7, at the Independence Mall in Philadelphia — said that "there has never been a man or a woman more qualified than Hillary Clinton to serve as president of the United States of America." When speaking about Trump during a November 7 rally in Michigan, Barack told the crowd, "When I tell you that Donald Trump is not the guy who is going to look out for you, you ought to listen." "In his 70 years on earth, the Donald has never shown any regard for working folks. I don&apos;t think he knows working people, except for the people who clean up in his hotels or mow the fairway on his golf course," he continued. "He didn&apos;t care about working people then, he won&apos;t now." For her part, Michelle, 52, made some of the most passionate arguments against electing Trump, 70, into office. "When making life-or-death, war-or-peace decisions, a president can&apos;t just pop off or lash out irrationally," she said during a September Clinton rally in Philadelphia. "We need an adult in the White House. I guarantee you." Earlier this summer, the current first lady was forced to face the fact that portions of Melania&apos;s much-talked-about speech at July&apos;s Republican National Convention were heavily lifted from her own at the 2008 Democratic National Convention. "My parents impressed on me the values that you work hard for what you want in life; that your word is your bond and you do what you say and keep your promise; that you treat people with respect," Melania, 46, said in her oration. The sentence was almost identical to one in Michelle’s 2008 speech in which she said, "Barack and I were raised with so many of the same values: that you work hard for what you want in life; that your word is your bond and you do what you say you&apos;re going to do; that you treat people with dignity and respect." Despite their fraught relationship and refusal to snap a pic together, the Obamas — who happily posed for a first couples&apos; photo op with George and Laura Bush in 2008 — welcomed the Trumps into the White House to meet with them on Thursday, November 10. 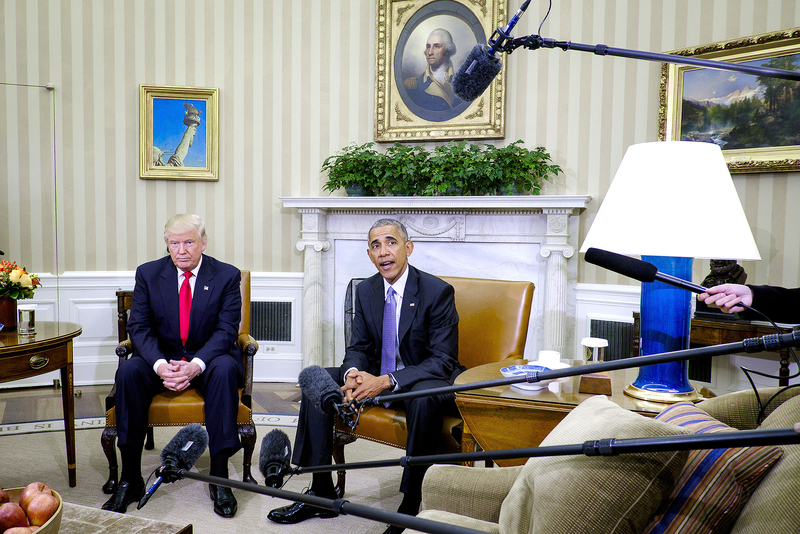 The president and president-elect sat down to discuss the country’s upcoming transition when the ex-Celebrity Apprentice host takes over the Oval Office this coming January. Michelle and Melania also met as well. "And I have been very encouraged by the interest in President-elect Trump wanting to work with my team around many of the issues that this great country faces. 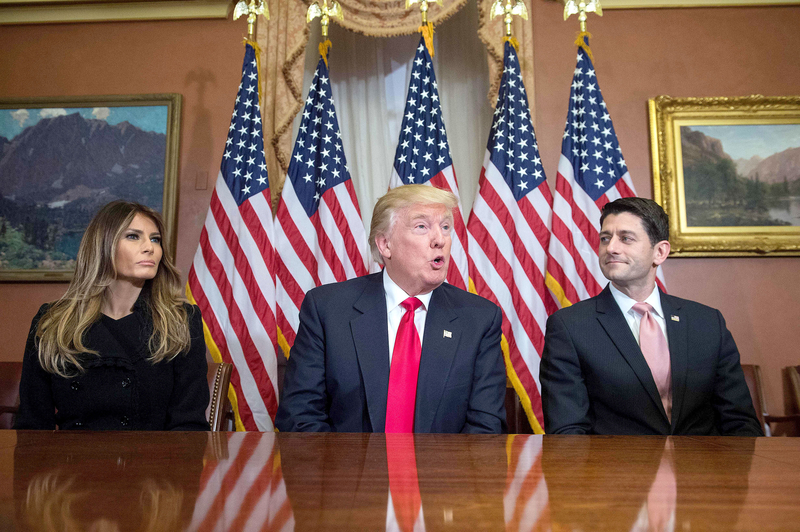 And I believe that it is important for all of us, regardless of party and regardless of political preferences, to now come together, work together to deal with the many challenges that we face," the president said of their discussion during a Thursday press conference. "Michelle has had a chance to greet the incoming first lady, and we had an excellent conversation with her as well. And we want to make sure that they feel welcomed as they prepare to make this transition."